Need a powerful battery charger to charge your AA/AAA batteries and offer the status of the batteries? Take a look at SkyRC NC2500 battery charger and analyzer, it may meet your requirements. This is an innovative and practical Bluetooth-enabled battery charger that measures 154 x 104 x 50mm and weights 370g. 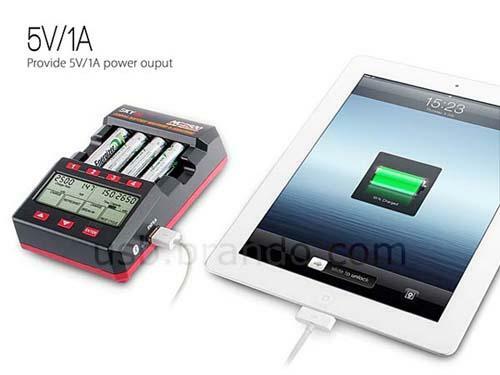 As we can see from the images, the battery charger comes with 4 independent slots in order that you can use it to simultaneously charge up to 4 AA or AAA rechargeable batteries, and the integrated LCD display shows you various info about charging including charger rate, voltage, the time and the charging capacity, moreover, built-in Bluetooth technology also allows it to pair with your smartphone, and its free app lets you check the charging status via your smartphone. Apart from that, the battery charger also features a USB port to charge your mobile device with ease. 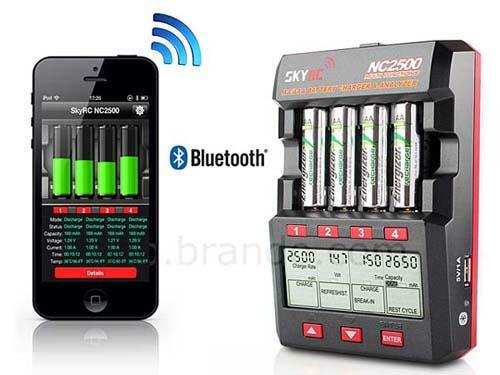 The Bluetooth-enable battery charger and analyzer is priced at $105 USD. If you’re interested, jump to Brando online store for more details.